Where can you serve God most strategically? This is not always an easy question to answer. There are needs everywhere, and diligent laborers are in short supply all over. One answer is to simply say that I am most needed right here, right wherever I am. This is certainly true on one level. If I’m not useful “here,” I’m unlikely to be useful “there.” Discipleship begins here and now, not there and later. This is one popular application of Jesus’ final words to his apostles. He told them “You will be my witnesses in Jerusalem and in all Judea and Samaria, and to the end of the earth” (Acts 1:8). Therefore, we often hear, we should imitate the apostles by starting at home, in our “Jerusalem” hometown, then expanding outward to Samaria (nearby regions) and eventually to the end of the earth. But Collier Berkshire of IGo (Institute for Global Opportunities) once corrected my thinking on this. He pointed out that Jerusalem was not the apostles’ hometown! Most of them were from Galilee, after all. Then why did Jesus instruct them to begin witnessing for him at Jerusalem? The answer is a strategic one—Pentecost was coming. Jesus wanted his apostles to be in Jerusalem during Pentecost, because he knew that this annual Jewish feast would attract “devout men from every nation under heaven” (Acts 2:5). New disciples from among this pool of feast-goers would then return to “every nation under heaven” (slight biblical hyperbole there, but we’ll skip that valuable exegetical lesson), carrying the gospel with them. This post will discuss the second reason. Why should you care about cities? The people of the world are now moving into the great cities of the world many times faster than the church is… The Christian church is not responding fast enough to keep up with the rapid population growth in cities. Let’s add some Anabaptist context here. Not only are Anabaptists moving into cities at a rate far below Christians of many other denominations. More importantly, we also have a long heritage that values and often prioritizes rural living. But the data above shouts what should already have been evident from the pages of Scripture: The idea that people should leave the city so that they can experience optimal spiritual growth in rural environments is simply unreasonable. There simply isn’t enough farm land available for all urban converts to come join rural Mennonites. 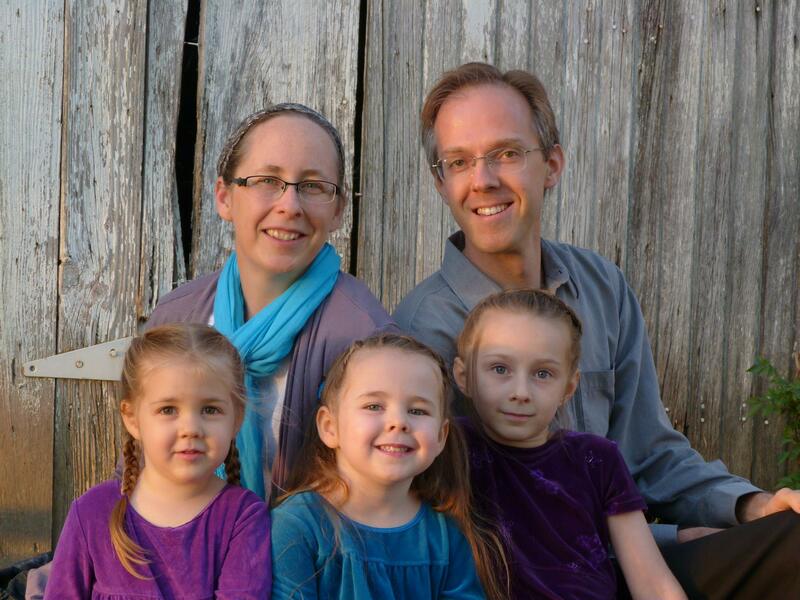 Mennonites are even running out of farm land for their own children! Children of Anabaptists who find their needed living space in towns and cities will tend to join other denominations. Anabaptism will remain a primarily rural phenomenon, with little direct impact on most of humanity. I think there are theological repercussions, too, but we’ll stick with those sociological ones for the moment. So, the city needs you, because you have the gospel that the city needs. What kinds of people in the city need you and the gospel? Of these four groups, which have American Anabaptists been most comfortable and successful in reaching? I think most of us would point to the fourth group—the poor. Organizations like Christian Aid Ministries have helped Anabaptists provide rapid response services after natural disasters, including in urban centers. Additionally, my unscientific observation would be that many of our few long-term urban efforts have focused on poor neighborhoods. I think we should continue our efforts to the poor, learning not only to hand out relief but also to live among the poor in long-term relationships. And I think we Anabaptists should also expand our vision to include the other three groups of urban dwellers that Keller identified. China U. is an FB series devoted to higher education’s role as a major and growing node of connection between the world’s two powers. How will a new generation, fluent in China and in America, shape the future of bilateral ties? Indeed, how might a new generation, fluent in China and in America and newly won to Christ’s kingdom, shape the future of both China and America? Nations of birth: 71 different countries! It’s hard for me to imagine, but apparently 32,658 Des Moines residents speak a language other than English at home. And 17,225 of those speak English “less than very well.” All that is right here in Des Moines, Iowa—in one of the least diverse states in the nation! I say it’s time to make Des Moines a little more diverse. Maybe it’s time some Anabaptists move there and help love the world for Christ. And what about Toronto? Here I’d like to challenge my Ontario Anabaptist friends. What would it look like for the conservative Anabaptists of Ontario to put aside some of their differences and band together with a vision for the Toronto harvest field? Just how multicultural is Toronto? Well, 47.9% of its population is foreign-born! Nearly half! And growing! In hard numbers, that’s about 2,642,910 immigrants in the GTA. All told, there are over half a million people living in Toronto who come from countries where you may have to risk extreme or severe persecution to reach their families overseas! And the religious needs are immense. For example, Toronto has Canada’s largest population of Muslims, at just over 424,900. Equally significantly, more than 1,165,000 Torontonians claim no religious affiliation at all. Ontario Anabaptists, will you rise to the challenge? What about your own city? To find immigrant data for your nearest city, visit City-Data.com or Statistics Canada. And remember, behind every data point is a person who needs Christ. The city needs you, so you should care about the city. And, who knows? Perhaps you will conclude that the city is the most strategic place for you to serve God! Come back here soon for one more reason why you should care about the city. And, as always, I welcome your responses in the comments below. Thank you!